Your Grid comes with webmail access for all domains that are hosting your email. This is a convenient tool when traveling or to troubleshoot an error with your favorite mail program. The easy to remember link is: http://example.com/webmail. Be sure to replace example.com with your domain. You will need to use your full email address to login. For information and instructions on creating an email account, please see: Creating a POP/IMAP email account. 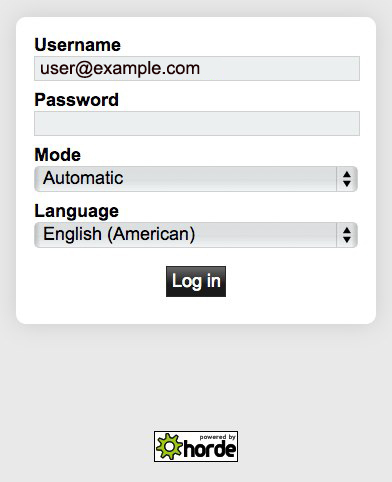 You can easily change your email password via the webmail interface. Log in to Webmail and navigate to Settings and select Change Password from the menu on the left. 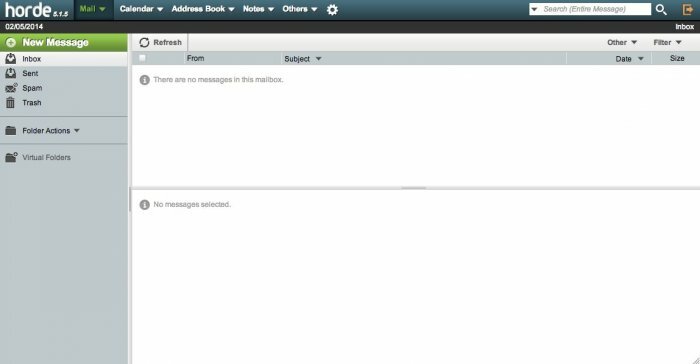 You can access webmail from Plesk or directly from your browser. The URL for webmail is http://webmail.example.com. The default webmail application is Horde. 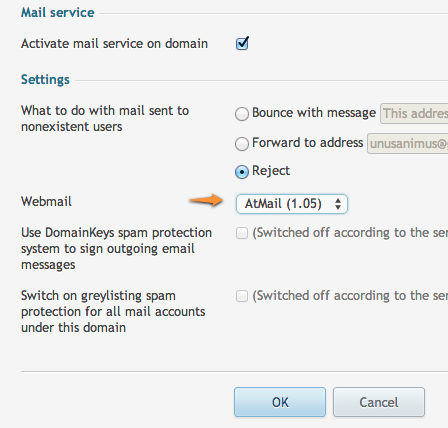 Click on Change Settings to check that mail is on, and find the Webmail option for you domain. Back in the Mail area, click on the webmail icon next to your email address. Your webmail will open in a new window. Enter your username and password, then click Login. You will be directed to your inbox. Visit http://webmail.example.com/ in your browser, where example.com is the domain name associated with the email address. Enter your username (your email address) and your password, then click Login. You will be directed to your inbox. Click the Change Settings icon. Under Settings, select the webmail client of your choice from the drop-down menu.